If you want to complain about an ad, how do you go about it? We look at the organisations you should talk to, what their roles are and how to lodge a complaint. It's a voluntary body, but all the major media representatives belong, including Television New Zealand, TV3, the Radio Broadcasters Association, the Newspaper Publishers' Association, the Magazine Publishers Association, the Interactive Advertising Bureau, the Outdoor Media Association along with cinema, direct mail, community newspapers and pay television. The ASA administers the Advertising Standards Complaints Board (ASCB), which is the body that hears complaints about ads, and the Advertising Standards Complaints Appeal Board (ASCAB). 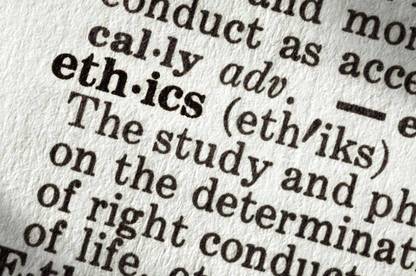 The code of ethics is the most common ASA code. If a complaint is upheld by the ASCB, the advertiser is requested to immediately withdraw the advert. The media are also requested to cease publication or broadcasting the advert. These requests are invariably complied with. Most complaints to the ASA come from the general public. There is no fee for the public to do this. Companies can also complain about their rivals' advertisements, but they may have to pay a fee. The ASCB comprises 9 members, 4 drawn from the advertising industry and 5 (including the chairperson) from the public. The chairperson has a casting vote. An expert panel will be convened to hear complaints about competitor's ads. The ASCB hears complaints about ads even when the organisations that runs the ads are not members of the ASA. It passes its decision to the offenders and asks them to comply. The ASCB's decisions can in some circumstances be appealed to the Advertising Standards Complaints Appeal Board (ASCAB). The ASCAB is made up of 1 industry representative and 2 public members, one of whom is chairperson. The ASA has a series of codes of practice to which its members must adhere. The ASCB only hears complaints that an advertisement has breached 1 or more of these codes. The basic one is the code of ethics. Among other things, it states advertisements must be clearly identifiable as such, must be truthful, decent, maintain people's privacy and should not encourage a disregard for safety. There are also codes dealing with product types, including advertisements about alcohol, food, therapeutic treatments, vehicles, financial advertising and environmental claims. New codes are developed from time to time. Complaints can be made in writing or submitted online through the ASA website. Where the complaint involves a print advertisement, a copy of the ad should be included. With a TV or radio ad, the approximate time, date and broadcast channel/station should be mentioned. If you take a complaint to the ASA you cannot also take the matter to another forum. You don't have to know the codes to complain. The ASA will work out which rule the ad may have broken, send you a copy of the code and its view of how it applies, and ask whether you agree. The chairperson of the ASCB will make an initial review of the complaint and decide whether it should proceed. If a complaint is not accepted, the complainant can in some circumstances appeal this decision to the ASCAB. When a complaint is heard by the ASCB, all parties are given a chance to comment. As part of this consultation, the ASCB gives the advertiser, the advertising agency and the organisation that ran the ad the name and address of the complainant. Once it has heard from all sides, the ASCB will make its ruling and a written decision will be circulated. The ASCB reviews all complaints on their merits. The number of complaints received forms part of the Board’s consideration. The ASA complaints process covers advertising directed at New Zealand consumers. Overseas magazine titles with a small circulation in New Zealand would not be considered by the ASCB. Internet-based advertising targeting New Zealand consumers is covered and advertiser websites are now the second biggest media category generating complaints. There have been complaints about overseas ads broadcast by Sky Network Television during live sporting events. Sky is a member of the ASA. However, Sky has stated it can't always stop ads being broadcast during live events as it doesn't always know when specific ads will be played. The ASCB isn't always the best forum for an advertising complaint. The Commerce Commission enforces the Fair Trading Act which deals with misleading and deceptive conduct by traders. If an advertiser breaches the Fair Trading Act the Commerce Commission may prosecute the matter in court. A trader can face a fine of up to $200,000 per offence. However, it is important to note the Commission is only able to investigate a small proportion of the complaints it receives. If you want something done in a hurry, it's sometimes better to go direct to the advertiser or the media. When writing to the advertiser, point out where you think the ad has failed or is in poor taste. If you want to complain about programme standards on radio or TV (or political advertising in these media), the appropriate body is the Broadcasting Standards Authority (BSA). This is a government regulatory body which has developed a number of codes of practice. For example, the code covering free-to-air TV programmes states programmes must be truthful and accurate, deal justly and fairly with any person taking part or referred to in any programme and show balance and impartiality in dealing with political matters, current affairs and all questions of a controversial nature. The BSA only hears complaints that a specific code has been breached. All of the codes can be ordered from the BSA. Individual codes are usually available free. Complaints must be in writing and be sent to the broadcaster first, within 20 working days of the broadcast. If you are dissatisfied with the broadcaster's response you can refer your complaint to the BSA.